We often work with high school students who feel the college admissions process can be grueling and intimidating. Therefore, Tutor Zone aims to bring the excitement and adventure back to the college admissions process with our college coaching program. Students will have the chance to explore college opportunities as we streamline the vast amounts of information and coach students through the process. We also know how scary college can be for some students as we often hear questions regarding expectations, class requirements, and the overall feel of the college classroom. Our program provides access to a one or two hour sessions to develop a complete plan of action. 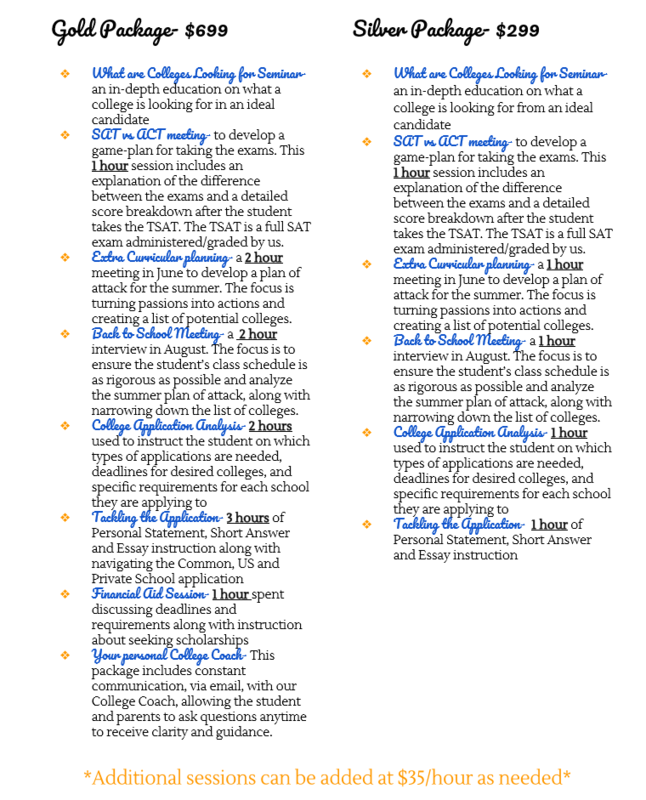 This will help students to create a strong profile for their college applications. We encourage students to express their passions in efforts to turn their hobbies into application highlights all while our coaches manage academic course schedules and SAT preparation. Our coaches will also provide students with essential FAFSA and scholarship information to ease the financial stress.